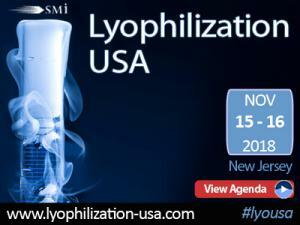 NEW JERSEY , ISELIN, USA, November 8, 2018 /EINPresswire.com/ -- Are you looking to find out about novel techniques and advances within Lyophilization? Regulatory and freeze-drying challenges? Beyond vial Lyophilization: alternatives to conventional methods than you need to attend and gain an overview of the latest innovations in freeze drying technology.